How a person thinks, behaves and feels ultimately impacts not just their own lives, but the society they live in. If we desire to attain happiness, we must understand that the journey begins within us, and can reach out to touch millions. 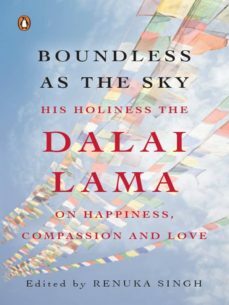 In this anthology, His Holiness the Dalai Lama, with characteristic wisdom, humour and kindness, directs us towards the path to a happy, healthy, peaceful life. Talking about universal themes such as compassion, peace, non-violence, secularism and the pursuit of a healthy mind and body, he reminds us that the responsibility to change our thoughts, actions and lives lies with us. Once we accept ownership of every aspect of our lives, we can then begin to catalyse change in the lives of others and, through that process, change the world. Through these speeches and dialogues, His Holiness encourages each individual to embrace the path of happiness, compassion and faith.